Acupuncture is the insertion of tiny hair-thin needles into precise acupuncture points along your body's energy pathways. This encourages your body to promote natural healing and to improve function. According to Chinese medicine, blockage and disharmony result in disease. In simple terms, the energy and circulation of the body should flow without interruption and there should be a perfect balance between the yin (cold factor) and the yang (hot factor). A blockage can be envisioned as a traffic jam causing health issues and imbalance. The insertion of needles unblocks obstructions and helps regulate the imbalances. Many people ask this question because our society traditionally imagines needles as the large hollow hypodermic needles that are used to draw blood. Acupuncture needles are super thin and about the size of a human hair. The slender needle produces little to no sensation. Many patients do not even feel the needle insertion, while others may feel a slight pinch or dull achy sensation. One advantage of acupuncture treatment is the absence of serious side effects, which may result from the use of prescription drugs. When properly performed, Acupuncture has almost no side effects. In rare conditions, you may experience minor bruising, muscle spasms, or feel faint. The needles are sterile and disposable, so there is no risk of infection.It is common to have a sensation of deep relaxation or even mild disorientation immediately following the treatment. You may also feel more tired after a treatment due to the detoxification effect of the treatment. All these pass quickly and disappear with some rest. Acupuncture has been around for over 2,000 years. More people have been treated with Acupuncture than all other health modalities combined. In many countries, Acupuncture is entirely integrated with Western medicine in hospitals. In some Asian and African countries, 80% of the population depend on traditional medicine for primary health care. 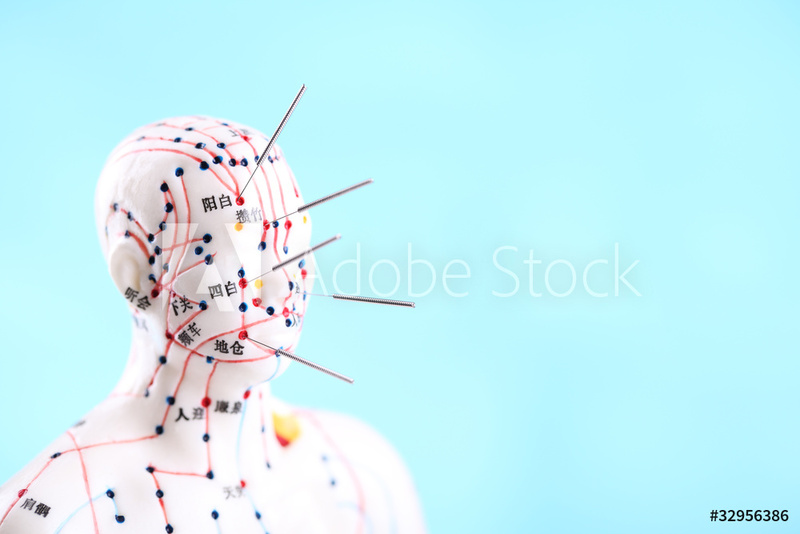 Acupuncture can be combined with other treatments done at the same time, such as conventional Western medicine, osteopathic or chiropractic adjustments, and homeopathic or naturopathic prescriptions. Cupping is another therapeutic technique, which uses glass or plastic cups as suction devices placed on the skin to increase blood flow, loosen the fascia or connective tissue and help stimulate healing. Cupping is one of the oldest therapies recorded, having been practiced in ancient Egyptian, Chinese and Middle Eastern cultures. OH offers a modern method of dry cupping, which uses a rubber pump (instead of fire) to create the vacuum inside the cups. In the areas where the cups touch skin, mild discomfort may be felt along with bruising. You should always communicate with your therapist about your comfort levels. Often, cupping causes temporary marks on the skin. Bruising is a common side effect, lasting from a few days up to two weeks. Therefore, cupping may not be the best treatment option for patients with bleeding disorders such as hemophilia or those who are being treated with anticoagulants. Cupping should not be performed on skin sites with active inflammation, burns, infection, or open wounds. Chiropractic is a health care profession that focuses on diagnosing, treatment, and prevention of disorders arising from musculoskeletal origin. Chiropractic care is commonly used to treat back pain, neck pain, pain and numbness in the joints of the arms or legs, and headaches. Chiropractors employ hands on and drug free approach for the treatment of musculoskeletal disorders. They are also trained in nutrition and rehabilitative exercises. The most commonly used procedure is chiropractic adjustment. Chiropractic adjustment is a high velocity, low amplitude thrust applied to the specific joint to correct for any misalignment. The purpose of the adjustment is to restore mobility to the joint caused by tissue injury. Tissue injury can be caused by a single traumatic event, such as improper lifting of a heavy object, or through repetitive stresses, such as sitting in an awkward position with poor spinal posture for an extended period of time. In either case, injured tissues undergo physical and chemical changes that can cause inflammation, pain, and diminished function for the sufferer. Manipulation, or adjustment of the affected joint and tissues, restores mobility, thereby alleviating pain and muscle tightness, and allowing tissues to heal. Spinal joints that are "locked up," fixated or not moving right can affect your health by "choking" or irritating nearby nerve tissue. Chiropractic adjustments add motion to these stuck areas. This helps restore nervous system integrity and can improve the healing process. Is there any pain or discomfort with an adjustment? Chiropractic adjustments may cause some discomfort (rare) and usually dissipates in 24-48 hours. Majority of the population reported feeling a sense of relief after an adjustment. There are no side effects with an adjustment, which makes this form of therapy better than the conventional medicine for the treatment of pain. A New Zealand government study (LINK) concluded that chiropractic adjustments are "remarkably safe." Taking an over-the-counter pain reliever is about 100 times more risky. Lubricating fluids separate the bones of each spinal joint. Some adjusting methods can produce a sound when the gas and fluids in the joint shift. It's much like opening a soda can or removing a suction cup. The sound is interesting, but isn't a guide to the quality or value of the adjustment. No. Some patients can make their joints "pop" but that's not an adjustment! Even your chiropractic doctor must consult a colleague to benefit from chiropractic care. Graston Technique® is a certified, instrument-assisted soft tissue therapy that allows clinicians to effectively break down scar tissue and myofascial adhesions. With the use of specially designed instruments, a practitioner is able to detect and treat areas of muscle, tendon, ligament, and fascia that have become sprained/strained or inflamed. By actively gliding these tools along the injured tissue, Graston can be used to remove restrictions from both acute and chronic injuries that may be causing pain, or limiting your range of motion. At the same time, this motion will increase blood flow and cellular activity in the area, helping your injury to heal faster! Why use tools instead of hands? Since the hard surface of the instruments does not compress the way the fat pads of the fingers do, deeper adhesions can be accessed and treated. As well as scar tissue from repetitive strain injuries or post-surgical scarring. As with any manual therapy, a patient may experience mild to moderate soreness after a Graston® treatment. Due to skin sensitivities and the nature of the treatment, skin irritations including redness, rash, minor bumps, and bruises are also not uncommon. Patients are recommended to ice the affected area following a treatment, to avoid these side-effects. Although an ammoliant wax is used to provide a more frictionless surface between the instruments and skin, some skin irritation is often unavoidable. Patients should also note that most Graston® ammoliants contain beeswax. Patient’s should inform their clinician of any allergies, particularly to bees, prior to treatment. Graston® has been shown to decrease the overall time of treatment by achieving faster recovery times to soft tissue injury. It may also reduce the need for anti-inflammatory medications, and help resolve chronic conditions that are often considered to be permanent. In a vocational setting, Graston® can help patients to continue training or working while receiving treatment, reducing the need for splints, braces, and other work-focused or athletic modifications. If you have a soft tissue injury, it is likely that Graston Technique® can help you. Transcutaneous electrical nerve stimulation, also known as TENS, is commonly used as a non-pharmacologic and noninvasive treatment for back pain. Typically, TENS is done with a small, battery operated unit with two electrodes (sticky pads) that are placed on a patient. The TENS unit delivers low voltage, alternating electrical currents that cause a tingling sensation through superficial tissues. These sensations are often known to drown out or “distract” pain, providing short-term relief. Studies are still ongoing to document the clinical effectiveness of TENS therapy, though many healthcare practitioners report that TENS helps some people, depending on their conditions. What can TENS help treat? What are the side effects from TENS treatments? Serious side effects from TENS are rare. Skin irritation and contact dermatitis beneath the electrodes may occur. While nausea and feeling faint may occur in some patients. TENS should not be used while operating motor vehicles. Patients with cardiac pacemaker, pregnancy, and epilepsy are not candidates for TENS treatment. How are TENS treatments in the office different from ones I can do at home? Professional grade TENS units offer higher intensities, frequencies and more functions than consumer TENS units, providing a wider range of controlled options to manage pain. Active Release Techniques Soft Tissue treatment (ART) is a manual therapy administered by trained professionals to certain soft tissue structures of the body. The ART soft tissue management system is based on scientific evidence that muscles, nerves, blood vessels, and connective tissue develop adhesions within and between them as a result of various injuries that include: acute (sudden injury), cumulative (chronic injury) and pressure (due to poor posture). These adhesions cause the motion of muscles or joints to be altered, resulting in a wide variety of symptoms including pain, weakness and reduced range of motion, numbness and tingling. ART is generally performed with direct contact from the doctor to the patient's skin. The practitioner will find the area to be worked on and either have the patient actively move a body part or passively move the body part for the patient. The practitioner’s contact, coupled with the movement of the patient, allows the adhesions to separate. ART goes right after the sights of adhesion in order to break up the scar tissue creating the pain and dysfunction. Since these sights are very sensitive to begin with, ART may create some discomfort described by many patients as a "good hurt". However, pressure is never applied beyond the patient’s tolerance. Each patient is different. On average, between 2-6 visits (each lasting about 15 - 30 minutes) are required for correction of soft tissue problems. Factors that affect this range include the severity of the problem, the patient’s willingness to participate in their treatment and the patient’s overall health status. Patients must take an active role in their recovery to help reduce the chances of reoccurrence. This may involve strengthening a certain tissue or changing certain activities. ART is considered one of the most effective and successful therapies for soft tissue injuries. However, like all other techniques, ART cannot fix everything. If significant improvement is not seen during the course of treatment, other treatments or referrals will be considered to fully resolve your injury. We do not encourage ongoing treatments if no improvement is seen within several visits. The Kinesio Taping® Method is a rehabilitative taping technique that is designed to facilitate the body’s natural healing process. This technique simultaneously provides support and stability to muscles and joints without restricting the body’s range of motion. Often, taping is done to prolong the benefits of manual therapy. Kinesio® Tex Tape alleviates pain and facilitates lymphatic drainage by microscopically lifting the skin. This lifting affect forms convolutions in the skin thus increasing interstitial space and allowing for a decrease in inflammation of the affected areas. The tape is latex-free and wearable for days at a time. It is safe for populations ranging from pediatric to geriatric, and successfully treats a variety of orthopedic, neuromuscular, neurological and other medical conditions. Are there any side effects from Kinesiotaping? Sometimes, skin irritation and contact dermatitis at taping site may occur.